Lynx lynx is a feline and a carnivorous with a speckled fur with black spots, with a variable color ranging from creamy white to tan. The hair is very dense to allow it to take the extreme cold. The front is adorned with a necklace with long hair and triangular ears are topped with black brushes. Vertical stripes stand in the front and a dark line on each cheek. The tail is short and terminates with a sleeve of black hair. The legs are long and thin but wide feet are adapted as snowshoes to travel in the snow. 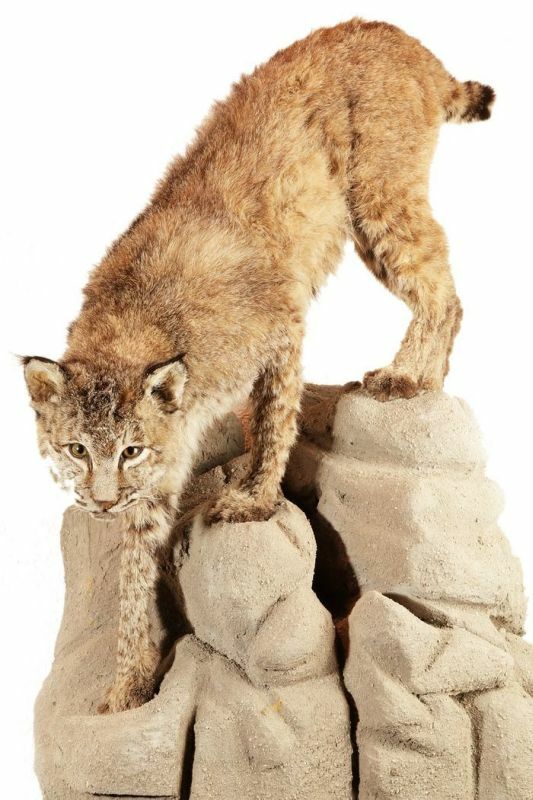 Eurasian lynx is found in areas of temperate and boreal forests with dense undergrowth, mountain and from Scandinavia to Siberia in northern China and the steppes. The lynx is a solitary animal that hunts from dusk until dawn. It can travel twenty miles by night to find sustenance. Its territory ranges from 20 to 300 km². Like other felines, it markes his territory with scratches, urine and feces. This is an extremely discreet animal even when it shouts. During the day, it sits in a hiding place. The breeding period extends from January to April. The female has only one estrus during four to seven days during these few weeks. The youngs, in number of one to four, born blind in a den lined with feathers, hair or dry grass, after a gestation period of 60 to 75 days. They are able to ingest solid foods at 6 or 7 weeks, but their mother breast-feed them for five or six months. Their coat adopts the adult coloration after three months and they remain with their mother until the next breeding season. The Eurasian lynx reaches sexual maturity at 2 or 3 years and its lifetime is estimated at 15 years. 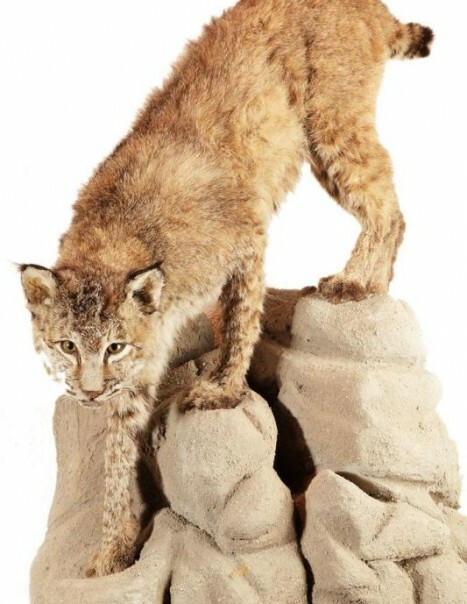 For its size, the Eurasian lynx is the only lynx who hunt deer, chamois wild boar. It does not disdain hares, birds and small rodents, foxes, badgers and various mustelids. It is classified as least concern.